So begins a chapter in the Bible that has puzzled scholars for centuries: Genesis 38. What is it that so confused them? The previous chapter begins well enough, detailing Joseph’s early years. It tells us he was 17 years old, the beloved son of his father, and was given a wonderful coat by him. It says us that Joseph was the youngest son which, in Jewish culture, meant he was the one who cared for his father’s sheep. You see, shepherding was not considered the most glamorous of jobs, kinda like today. In fact, it pretty much meant you were low on the totem pole. Nevertheless, Joseph was quite obviously his father’s favorite and, as a result, was the object of no little jealousy and hatred by his brothers. That coat was the last straw! The chapter ends with Joseph being completely rejected by his brothers. He was thrown into a pit and sold for 20 pieces of silver to some passing traders. They took him away as their captive to Egypt and sold him into slavery. So far, so good. Then we come to chapter 38 verse 1 of which is the opening scripture. Are you scratching your head yet? For some in explicable reason, the Holy Spirit totally jumps the tracks and, instead of continuing on with Joseph’s story, starts talking about part of Judah’s life story. Then in the very next chapter, He casually picks up where He left off at the end of chapter 37 with the rest of Joseph’s story, as if it’s nothing at all. What the???!!! It doesn’t make any sense, does it? Why did He do that? Bet you’d like to know! As usual, the Holy Spirit has great purpose in everything He does! Well, today is your lucky day. You’re about to find out EXACTLY what He was up to when He stuck chapter 38 in the middle of Joseph’s story! Let’s begin. 1 “It came to pass at that time that Judah departed from his brothers, and visited a certain Adullamite whose name was Hirah. In the Holy Spirit’s seeming madness is a message for us. You see, of all the Old Testament types and shadows, Joseph’s life story is the clearest depiction of the life of our Lord Jesus. At the end of chapter 37, Joseph was rejected by his brothers and sold into slavery for 20 pieces of silver. His brothers reported back to his father and lied to his face, telling him Joseph was dead, presumably killed by an animal. They had bloodied his coat with an animal’s blood to convince him. Since they had no DNA testing in those days, Jacob, of course, believed his sons. 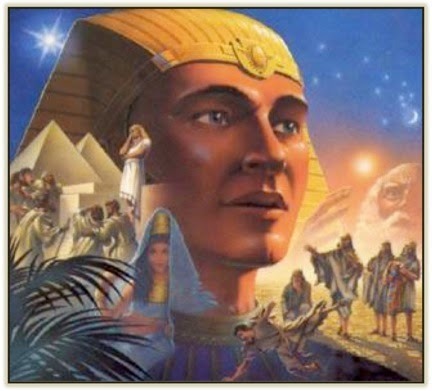 Meanwhile down in Egypt, Joseph was sold into slavery, bought by Potiphar, thrown in prison for three years, and rose to prominence as Viceroy, second only to Pharoah in power. When severe famine hit the entire region. his brothers came down to Egypt on their first trip to buy grain. they didn’t recognize their brother with all the “Jonny Depp” make-up on, dressed in royal garb. He revealed his identity to them further on in the story at a later meeting. Just like Joseph, Jesus (the greater Joseph) was betrayed (sold out) for 30 pieces of silver by his Hebrew brethren, Natural Israel. He was taken away in chains, died on the cross and rose the third day, depicted by Joseph’s 3-year imprisonment. Joseph was Pharoah’s right hand man just as Jesus, Who ascended to sit on His Father’s throne and is seated at His right hand. Sadly, He was ultimately rejected by the Jewish nation. The Messiah, for Whom they had waited centuries, was not recognized in His first coming. Just like Jacob who believed his sons’ report, many Jews to this day believe the fabricated story that Jesus is dead, that His disciples stole His body, and they spread a false repot that He rose from the dead. When He returns, however, I assure you THEY WILL MOST CERTAINLY RECOGNIZE HIM! 40 years after Jesus ascended to His Father, God allowed Emperor Titus to destroy their temple in 70AD. This effectively put an end to all animal sacrifices. The Father did not want to allow any more of that as His beloved Son, Jesus was the FINAL one. What happened next was the diaspora. The Jewish people were scattered, dispersed among every nation of the world. They remained among them for 2,000 years. Then, in an unprecedented decision by the U.N. in 1948, they took possession of their land again. The nation of Israel was reborn! Many have returned to their land but not all have come back; not by a long shot. They were renewed just like the Eagle: Old mind but new body! So how does all that reconcile the problem of chapter 38? The mystery, in part, is found in the meanings of the names of the major players. The rest of it has to do with something the Holy Spirit is very fond of doing: Hiding timelines of what He is doing in the world and, in particular, the nation of Israel. They are His prophetic timepiece! When Judah left his brothers, he married a Canaanite woman; a Gentile, whose father was named Shua. THIS IS A TIME LINE! Shua was a Canaanite; a Gentile, whose name in Hebrew means “Wealth. “Judah” left his “brothers” and went to visit his “Canaanite (Gentile)” friend. 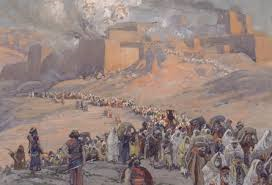 It’s a picture of the Jewish people rejecting Jesus, being scattered amongst the Canaanites–the Gentiles of the world–and intermingling with Shua: wealth. Jesus came into this world through the tribe of Judah, His choice, which is the largest of all the tribes. Upon the dispersion of the Jewish people, they would chase after wealth wherever they went in the world among the nations. Because of God’s promise to Abraham, they would prosper financially, which they most certainly have! They don’t have the full blessing like we do, which is salvation, nevertheless they have blessed the whole world with what they do have. Salvation, by far however, is the greatest blessing! What does it profit a man if he gains the whole world, yet loses his own soul? Joseph’s brothers, you recall, found the money in their sacks with which they had bought grain. They didn’t know who had put it back into their sacks of grain. Most of Abraham’s descendants today don’t really know why they have such a talent for financial gain and for blessing the whole world with their inventions, discoveries and insights. Many don’t even believe in the God of their fathers. Jesus, the greater Joseph, put the money in their sacks! 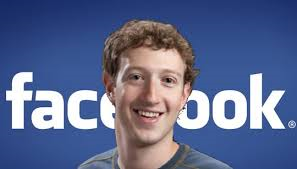 Regardless of your opinion of him, Zukerberg just happens to be the youngest billionaire IN THE WORLD! Is it simply due to brain power? Talent? Hard work? No. It’s the blessing of Abraham! They also have disproportionate influence for both good and evil. George Soros would be an example of the “Evil” influence part. As incredible as it may seem, most of the Illuminati are descendants of Abraham. Sad but true. The list of the accomplishments of the Jewish people goes on and on and on and on: Movie stars, actors and actresses, doctors, researchers, scientists, authors, nobel prize winners, mathemeticians…..you get the idea. You see, even though many aren’t even devout Jews by any stretch of the imagination, God contines to keep His promise to them. He has remained faithful to them, even if it isn’t reciprocal. 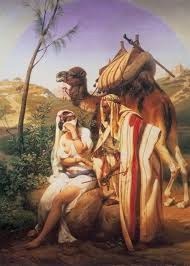 The promise He made to Abraham was to bless him and his seed, even if they don’t even recognize or serve Him. Many actually even hate God! But His love and tender heart toward His chosen people has not abated AND IT NEVER WILL. HE IS A COVENANT-KEEPING GOD! If God is like that to those who aren’t even IN the fold, how much more will He love and bless those of us who are? And you were worried that He would turn His back on you just because you stumbled and fell! AS IF!!! No. We have an even better covenant with Abba than the Jewish people!!! In addition to being heirs to all the promises of Abraham, WE HAVE JESUS! WE HAVE THE FULL BLESSING! Now you see why Judah’s story is placed here by the Holy Spirit: To serve as a snapshot of Jesus’ lineage. How do we know that? Because the chapter ends with Perez who is listed in His genealogy. The whole chapter outlines what was going to happen to Jesus’ natural family in their far-distant future…..which is happening NOW. They didn’t recognize Him in “Egypt” at their first encounter (Egypt is a typology of the world). But Jesus will unveil Himself to them and they’ll be reunited at last at His second coming. The entire nation will be saved in one day! He will restore to them the kingdom and their former glory as well as their relationship and position…..fully! So now you know the. Truth, Church: Chapter 38 is definitely not in the wrong place!